If you don't like this, get used to it because psych is well and truly here to stay, including its weird and wonderful sub-genres. 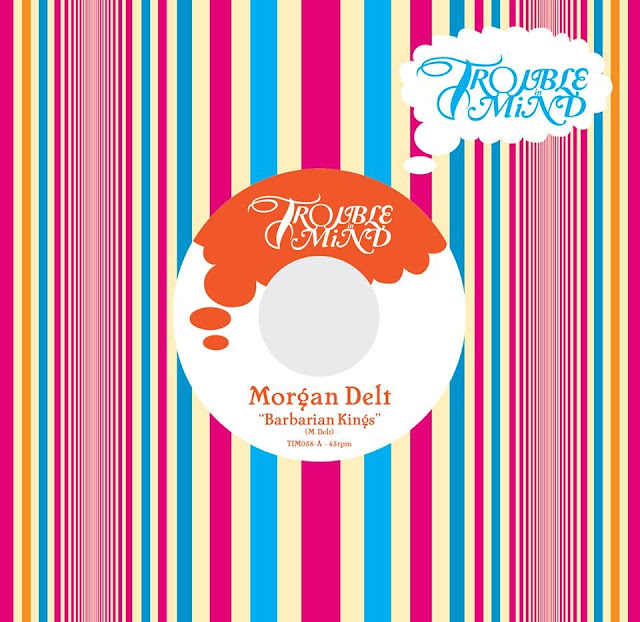 Judging by LA newcomer, Morgan Delt and his 2012 debut, Psychic Death Hole, the level of experimentation within psychedelia hasn't even started to scratch the surface. From Psychic Death Hole, Delt's set to release "Barbarian Kings" b/w "Black Tuna Gang". Little is really known about Delt and it's probably best it stays that way, as the intrigue paired with his music only serves to enhance the listening experience. "Barbarian Kings" plays through as if a story of some far land, dreamlike, addictive and it sounds like a quintessential spaghetti western film score. I for one, can't get enough. The 7" of "Barbarian Kings" b/w "Black Tuna Gang" is set for release September 30 on Trouble In Mind Records (Ty Segall, The Fresh & Onlys).